Little’s partnered with Square 2 to develop a comprehensive marketing strategy, with a priority focus on transforming its website into an inbound marketing machine. R.E. 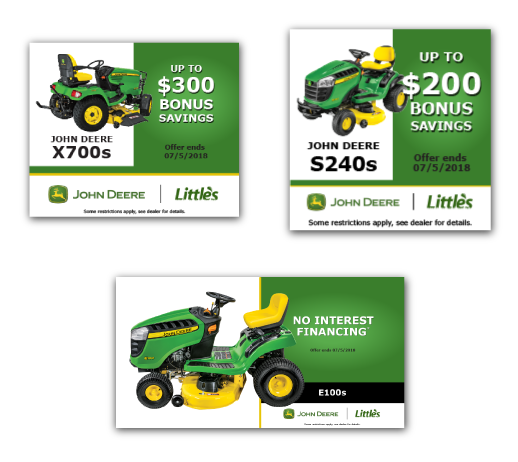 Little’s is southeastern Pennsylvania’s premier John Deere dealer, providing licensed equipment for both commercial and residential customers. Little’s web presence was seriously outdated and lacked any real lead-generating power. 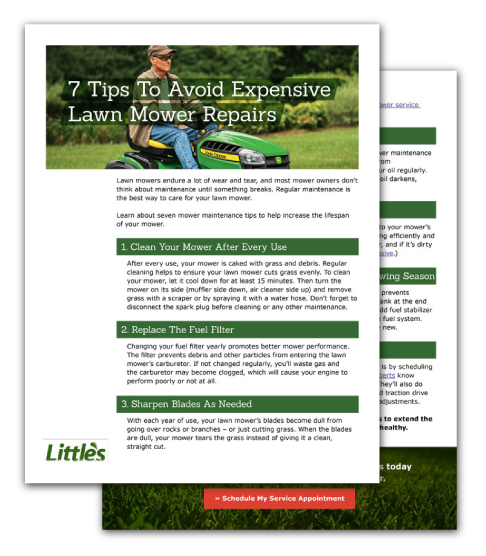 Even worse, for both current customers and prospects, the Little’s website was cumbersome and difficult to use. The Square 2 team applied an Agile phased rollout approach to Little’s inbound marketing engagement and to the website project. The team dove into developing a strategy while concurrently writing, designing and building a launchpad site. The team built out three target personas and launched user experience research and testing for each persona group as the website concept was planned. 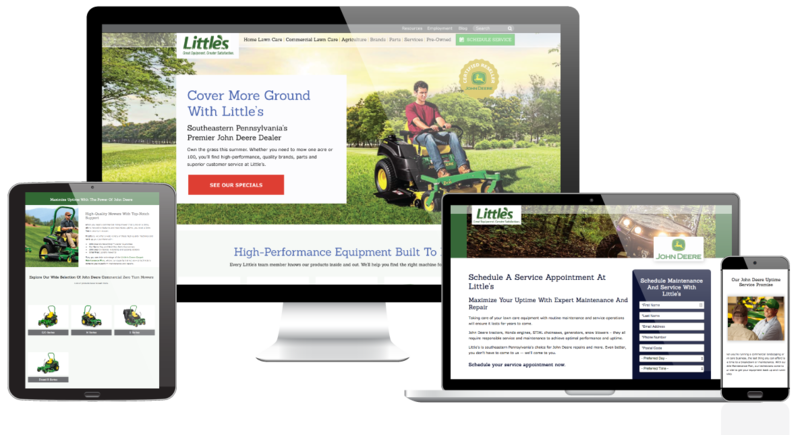 Simultaneously, a local SEO strategy was designed and executed to propel Little’s organic website performance. The Phase I launch was completed in less than 60 days. Using an Agile, priorities-based approach to inbound marketing made the team increasingly efficient, and the focus quickly turned to optimization and fueling results. The Little’s website used to average 56 total visits per day, with only three visits coming in from organic search. Within 24 hours of launching the Phase I site, it had 301 total visits and 181 organic visits. Organic traffic also poured in, with over 1,400 keyword-based searches sending visitors Little’s way. Little’s quickly ranked in the top three search results for 40 of its target keywords, with 85 keywords ranking in the top 10 search results. Square 2 has provided the knowledge and follow-through to allow Little’s to take our company to the next level with a new professional website and inbound marketing strategy, making our goals for our future in the Philadelphia market area a reality. The development of the website was made easy, with Square 2 making the changes and updates for us as the website developed and we changed our ideas and vision. The website will set us ahead of our competition.